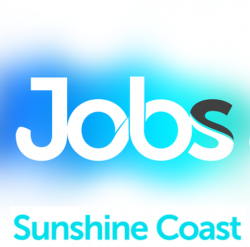 This exciting opportunity is available with Southern Cross Support Services (SCSS), based on the Sunshine Coast. SCSS is a NDIS and Child Safety provider servicing Queensland with our head office based in Bundaberg. Our core business is to provide a range of disability and Child Protection services to meet the needs of those that are most vulnerable in our community. Be rewarded everyday by knowing you are making a difference in a young person’s life. Use your skills and life experience to move into a new career with a reputable company. SCSS has a number of paid opportunities available for suitably skilled people with genuine interests in supporting youth in challenging environments. People who are passionate about making a real difference in people’s lives and thrive on helping others. Someone that enjoys working with variety of different challenges in their day-to-day work. Due to the nature of these positions, applicants must be willing to undertake personal development to meet the requirements of the positions on offer. Residential Care experience or working with youth, is highly regarded. Flexibility to support across additional disability programs, is desirable. Understanding or ability to gain knowledge about trauma-based behaviours. If our opportunities interest you and would like to be part of a new, exciting team, then get the ball rolling and apply now!